When two people are truly in love, it's pretty obvious. 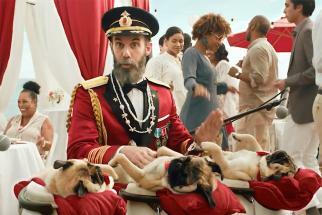 So who better to help them tie the knot (and facilitate a destination wedding) than Hotels.com mascot Captain Obvious. Staying in character throughout the vows and the reception, Captain Obvious delivered deadpan advice to the couple: "Don't go to bed angry. Or sad. Or excited. Or too happy. Basically, you want to be tired. That's how sleeping works." The two-minute spot from CP&B is the first wedding-focused work from the brand. 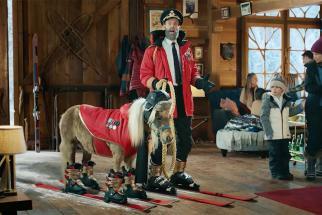 (Competitor Booking.com, however, did feature the fictional nuptials of Jordan Peele and Chelsea Peretti in a previous campaign. Hotels.com is making overtures to millennials who are spending plenty each wedding season traveling to see friends get hitched. 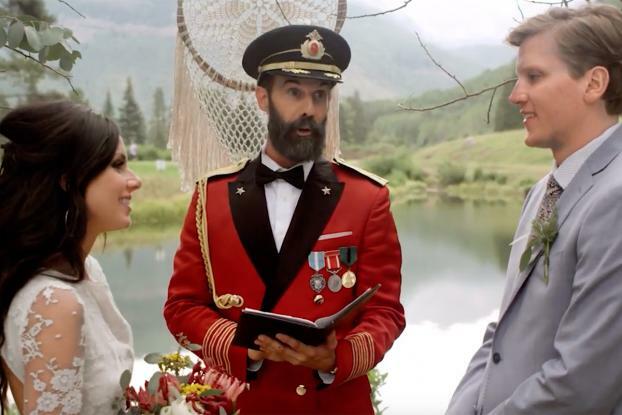 Fans who tweet #ChaplainObvious with something unique they spotted at a wedding will have a chance to win a $2,500 Hotels.com gift card. The spot is running on the brand's YouTube, Facebook and Instagram channels and is being supported by paid media on those platforms.